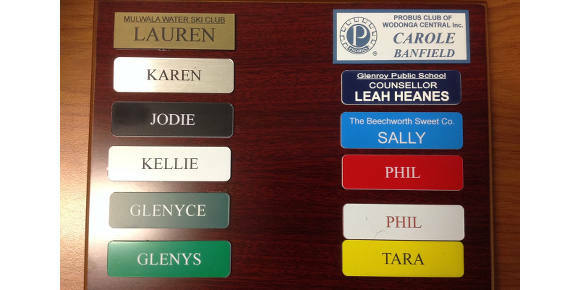 Our name badges are either custom printed using a process called dye sublimation, or laser cut and engraved. A sublimation badge gives you a high quality badge with the option of including a corporate or club logo. 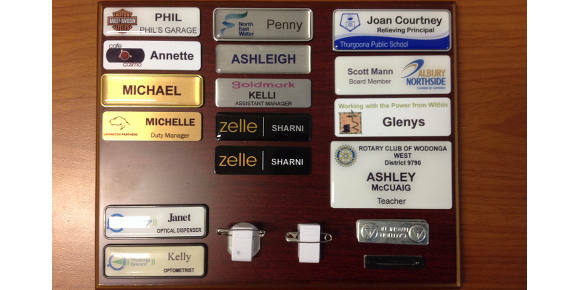 A laser engraved badge gives you a professional looking badge at an economical price. You have the choice of a pin or magnetic fixing and the option to include a domed resin finish. We also supply a large range of badges suitable for office bearers, schools and clubs. Pre-made custom badges with titles such as a President, Captain, Prefect or Secretary are available in a range of colors and styles. If there isn’t something in the standard range, we’ll have it made for you. There are no minimum quantities and of course there are discounts available for bulk orders. We don’t charge any set-up fees except for custom made badges where we have to pass on supplier costs.